A Pair Chinese Imari Vases China, Kangxi period (1662 – 1722) Height: 28.5 cm These vases are finely painted in the typical “Chinese Imari” palette: underglaze blue and overglaze iron red and gold with a touch of green. 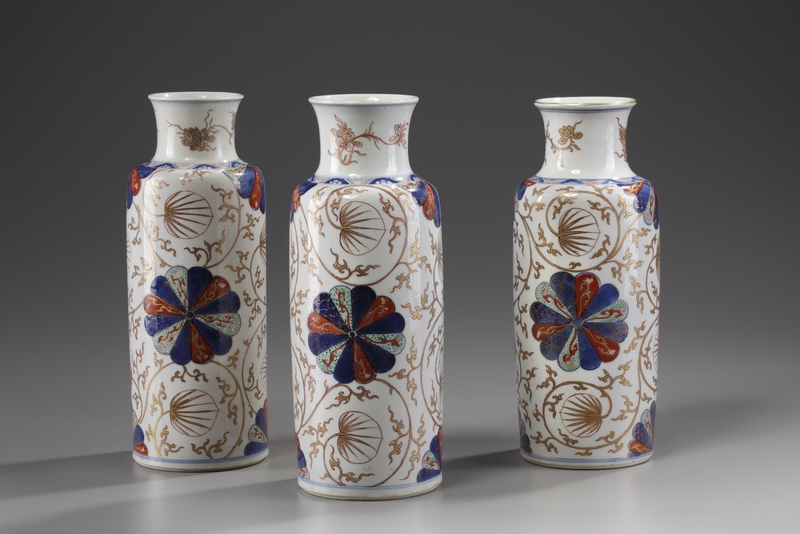 Two open chrysanthemum flowers decorate the centre of the bodies while two half chrysanthemum have been applied to the foot and shoulder of the vases. These are all set against a ground of scrolling branches ending in fan shaped leaves, finely outlined in iron red and filled with gilt. Prof. Dr. C.J.A. 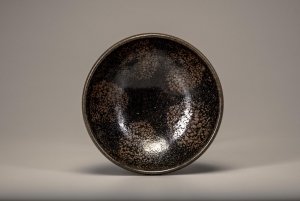 Jörg mentions that the cylindrical vase was one of the new shapes that emerged in the early Kangxi period and probably derived from the earlier “rolwagen”, a shape that was popular among potters during the Transitional period (1620 – 1683). 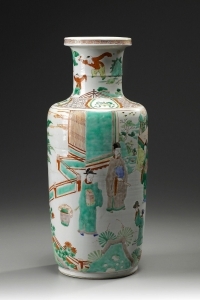 “Chinese Imari” decoration finds its source from the Japanese “aka-e”, meaning red painting. 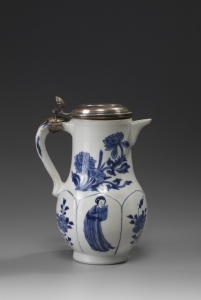 When the porcelain production in China came to halt during the downfall of the Ming empire in the mid seventeenth century, the Dutch East India Company turned to Japan in order to meet the European demand for the exotic porcelains. The “aka-e” or red painted porcelain exported from Japan to The Netherlands were referred to as Imari, partly because of the fact that they were shipped from the sea port in Imari, but mostly because of its distinctive red colour. When the Chinese porcelain trade re-opened for export in large quantities, the Imari decoration was copied. “Chinese Imari” was first produced and exported to The Netherlands in the late Kangxi period and remained popular until the mid-eighteenth century. Identical vases are in the RA Collection, the Topkapi Museum, Istanbul and the Victoria and Albert Museum, London.